Isfahan (IMNA) - Saying that there is not a city like Isfahan in the world, the author of the "green book of Iran's municipalities" said, "Cultural, architectural, natural elements, and also the citizens' love for Isfahan have affected the growth of this city in such a way that we can say this city has been made by citizens." 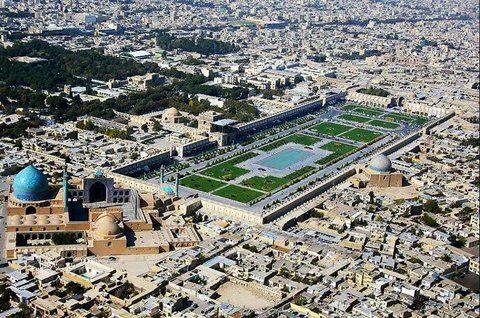 "The other importance point about Isfahan is its being the pioneer of modern urban planning," Saeed Nia said. Pointing out that Isfahan has provided the first urban development plan of the country, he added, "The concept of "City" is a regional phenomenon; separating the concepts of city and region has been the biggest problem of the urban plans." Referring to the failure of urban plans in Iran, he said, "All the proposals of the comprehensive urban planning should not only address the municipalities, but they should involve the Department of Education, the Ministry of Energy, the Ministry of Road and Urban Development, the Foundation of the Oppressed, and other institutions that own extensive lands in the cities."